By now, we’re all familiar with the Hadid sisters. The duo of Bella and Gigi are not only stunning but can be found virtually everywhere; from the covers of magazines to high fashion runways. However, they’re not the only ones who are blessed with enough beautiful genes to grace an entire family. Enter the Hamlin sisters (Hadid and Hamlin.. Confusing right?). The daughters of The Real Housewives of Beverly Hills star Lisa Rinna have launched their own modeling careers. Delilah, 19, and Amelia, 16, have already racked up an impressive list of jobs working with different designers and appearing in different magazines. Through a little bit of Instagram stalking, I was able to learn a little bit more about both of these ladies. If the frequent posts of the two of the sisters are any indication, family is definitely important to these two. They both have a mountain of sweet snaps of one another one, with even cuter captions. You’d think growing up with a famous mom would mean constantly borrowing from her closet, but these two each have their own unique fashion sense. Neither sister is shy about showing off some skin, but they both manage to keep it classy. 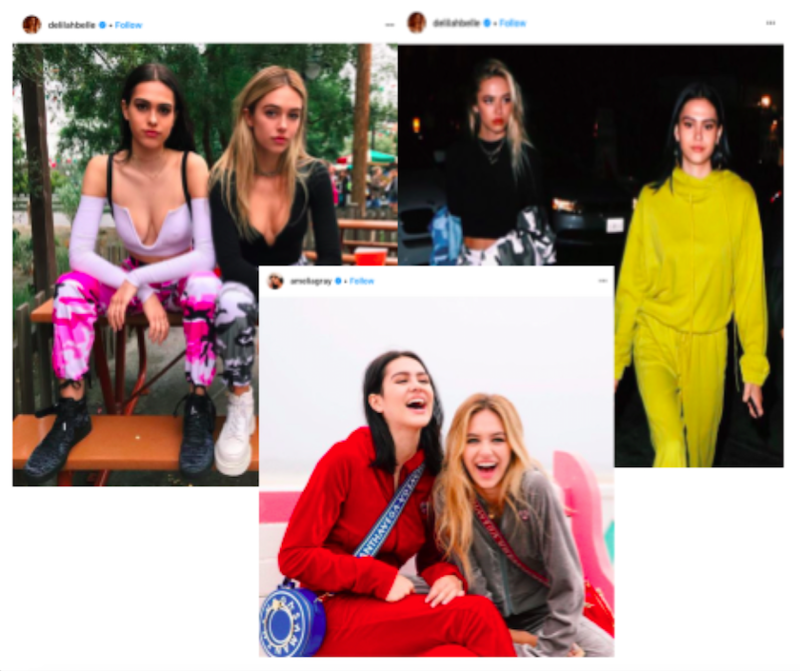 Delilah’s Instagram features plenty of patterns and looks featuring bold colors. Amelia’s look is edgier, with each photo complete with what I’m sure will become her signature pout. I’m sure that growing up with famous parents has its own set of issues, but both Delilah and Amelia seem to be driven and motivated to leave their own mark on the world. I can’t wait to see more of these two as they take over the fashion scene. For more updates on them, here are their Instagram accounts!